Home / Archive / New post-Olympic home for BBC Four HD and CBeebies HD on Freeview? New post-Olympic home for BBC Four HD and CBeebies HD on Freeview? BBC Four HD and CBeebies HD look set to be moving to a new Freeview multiplex after the Olympics. That's after a first round of technical changes taking place before the Olympics. Currently, the signals carrying both channels reach just over 70% of UK households on channels 106 and 124. But both channels will be moved on 27th July in preparation for the Olympics. 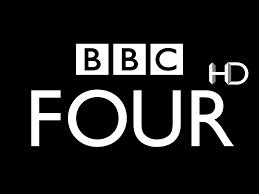 From 27th July 2016, BBC Four HD will temporarily become available to everyone who can receive BBC One HD on Freeview HD and YouView boxes. Initially normal programmes will continue until the start of the Olympics, when the channel will ditch regular programmes in favour of wall-to-wall Olympics, broadcasting daily between 1pm and 4am. CBeebies HD, which normally timeshares with BBC Four HD will also change frequency, but will move to another multiplex with similar limited coverage. After the Olympics, when BBC Four's broadcast hours return to normal and both channels can share bandwidth again, the BBC's Director of Distribution, Kieran Clifton has said that these channels will move "to a different slot of broadcast capacity from where they are now, and so may require a retune", indicating that these channels will not return to the multiplex slot they use now. That means, at least for viewers who are normally outside of the Freeview coverage of BBC Four HD, things will return to normal - BBC Four HD will disappear again. Of the post-Olympic change, Mr Clifton advised that "there should be no material impact from the current Freeview reception of these channels." Standard definition versions of these channels will not be affected, and viewers who only have standard definition Freeview shouldn't need to retune at all on account of these changes.